Herb Books, mmmm… I buy them, read them, and re-read them as often as I can. For every herb book I have, there are three more that I desire. So many amazing herbalists have published books, on just about every topic imaginable. It was tough to narrow my favorite herb book selection. I sat in front of my bookshelf and paged through title after title; after 20 minuets of “this one is my favorite”, “this one is my other favorite”, I realized that all of them are valuable, useful, inspirational and informative (other wise I would not have shipped three boxes of them from Minnesota to Oregon). Some are sentimental, like Susun Weed’s Healing Wise. That was one of the first herb books I bought, and it significantly shaped both my view of plants and healing philosophy. Here is the semi-narrowed down list. These ‘books’ aren’t really books at all, they are a compilation of lecture notes to a botanical medicine conference. Many conferences have these sorts of publications, and even more conferences have recordings for sale. I find them truly, truly indispensable. Almost every day I engage with either the notes or the recordings (my iPod is full of Jill Stansbury, Donnie Yance and Mary Bove, among others). This particular conference is not unique in that there is a variety of herbal practitioners, from wild crafters, TCM practitioners to naturopaths. For a specific condition, and practical applications for practice, these are my absolute favorite. The Book of Herbal Wisdom is the herbal that I have read the most. The stories, the history, the energetic details of the plants are enthralling and help the medicinal uses of the plants stick in my head. This book held even more relevance for me because much of it took place in my ‘backyard’ of Minnesota and Wisconsin. I had seen many of the plants in the specific places mentioned in the book, like yarrow on the rocky, windswept north shore of Lake Superior. A few weeks before moving from Minnesota, a friend gave me her copy of Micheal Moore’s book. I have enjoyed reading it since, a herb or two at a time, as a way to get to know the herbs out here in Portland. Both of these books are very much infused with a sense of place, which I love. Wood seems to connect with the herb’s being or essence, while Moore has a deep understanding on what the herbs do in the physical body, or at lease that is what I take out of them. Anything by Rosmary Gladstar, could be on this list, really. She gets you to touch, taste, dream, sing and tell stories about the herbs, as a way of learning. Her work is infused with wisdom and ‘beautility’, inspiring her readers and students to be stewards of the earth and protectors of the plants. I have to wonder: just how many people have learned about herbal medicine because of her? Rosemary’s body care recipes are my staple, they are are so simple yet revolutionary. 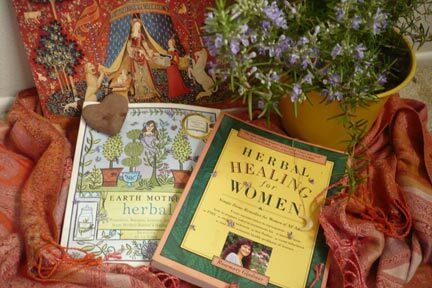 The Earth Mother Herbal is a sweet, succinct and surprisingly diverse book. 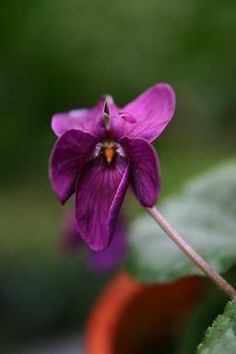 There is information about growing herbs, harvesting, making products, and for each herb in the herbal section an unique recipe or two follows. What struck me about this book is the encouragement of De La Tour to permeate your life with herbs, and not just for medicine. One section that I particularly love outlines examples of herbal gatherings for different seasons, with food, drinks, favors and activities all related to herbs. When I said there are many herb book that I desire, most of those book are on the topic of women’s health. Australian practitioner Tricky’s book covers in great detail hormones and the menstrual cycle (as the title implies) with sound advice on herbs and supplements. The herbal entries are based both on historical and folk use and on modern research – a blend that not everyone can pull off as well as Tricky. I use this book as a reference constantly for both physiology and herbs. Reading this book helped me further differentiate herbs that may seem similar on the outside (like adaptogens or uterine tonics) through her specific examples based on the herbs themselves and as well as the intricacy of the body. Romm’s pregnancy book made the list because it is the book that I lend out the most. It is at a beginner level as far as herbs are concerned, but that is a fine place to be at in a pregnancy book; you don’t want to be overwhelmed with herbal details when you have pregnancy, birth and postpartum to focus on. The Core Balance Diet is indeed not an herbal, but it does have a good deal of herbal information in it. It made the list because I have found that applying the concepts in the book can greatly enhance the way I use herbs in everyday life. Don’t be put off my the word Diet in the title. It is about understanding six different ways our body interacts with the world (adrenal, hormonal, neurotransmitter, digestive, detoxification and inflammation) and how we can get our trouble areas back on track to lead a more balance life, inside and out. Very pertinent information for herbalists, I believe. Just the other day I was reading in Planetary Herbology‘s “herbs that release the exterior” category and gained some insight about the relationship and differentiation between diuretics and diaphoretics. Little thing like that happen whenever I open this book. When I want to know some basic information about an herb, this book clearly lays out the energetics (taste and temperature), constituents, actions, organs entered (this Chinese concept is useful for western herbs, too) and so on. Making Plant Medicine seems to get opened in acute situations. Need a direction as to which herbs to use topically like right NOW? Cech has it. After making my much needed remedy, I go back to the book and read some more. I love Cech’s writing style and information. If it’s useful, it’s in this book. Before going to Chinese medicine school, I had an interest in Chinese herbs, but my first love was Western herbalism and I stayed away from the heady, theory-laden tomes of Chinese medicine. What a mistake! You don’t have to know Chinese medicine theory, Yin and Yang, or the 5 elements to benefit from these texts. 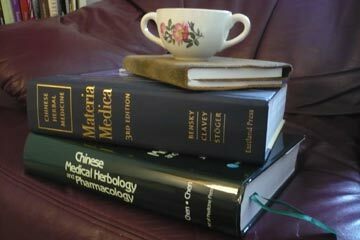 Both books have the same information about the indications of the herbs, but Chen’s has a more western feel, with medicinal actions (diaphoretic, antimicrobial, brochiodialtor, ect..), chemical constituents and modern research, while Bensky is the standard herbology text and draws more from classical texts. There are a few reasons I say this. First, because of the incredible organization of the material that is very conducive to learning. The herbs are grouped in ways that make exquisite sense, with explanations to why they are groups that way. Another reason I love these texts is because of the importance of energetics. After reading one single entry (Ma Huang, ephedra), I understood more about energetics than after 8 years of studying Western herbalism and 4 months of formal Chinese medicine education, combined. What really helped me ‘get’ it was both the comparisons between herbs in the same category and sample herbal combination. Reading things in the line of “this herb does this to release the exterior, while herb #2, with a different flavor, does more of this action” is so helpful. This book has been a catalyst that has lead many people to herbalism. 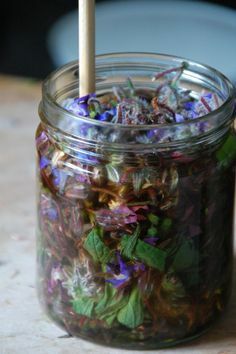 It may seem strange, because it talks a lot about natural health, nutrition, and emotions but not necessarily herbs. I mention it because I have lost count of the number of people I ran into that said this was the book that started their healing journey – myself included, this I consider it a ‘gateway’ book. I see we share many favorites, but you have also introduced me to some unfamiliar books that look very promising! I’ll be adding them on to my quickly expanding herb book wish list. I also really love the books I take home from herbal conferences! And I love your idea to download conference lectures onto your ipod! Thanks also for your recommendations on Chinese Mat Meds – beyond the Tierras, I am quite lacking in that category – and I think the Chinese understandings of herbs are so elucidating! I’ve been reading your blog for a while now but have not commented yet. Just wanted to thank you for this wonderful list. It is interesting that you include Christiane Northrup’s book because, in a round about way, I suppose that was the book that led me to herbalism. I read it when I was only 21 and it opened me up to a whole different way of looking at health and the human body. And, yes, Susun Weed’s Healing Wise came shortly thereafter and was the first real herbal book I ever read. It was so exciting. The chapter on dandelion tipped me over the edge! I’ve been in love with weeds ever since. I too love Micheal Moore’s Medicinal Plants of the Pacific West (I’m in British Columbia) and have used it extensively as a reference when wildcrafting, and I love everything Rosemary Gladstar. Ruth Trickey’s book is a phenomenal resource. I haven’t read the others but have been drawn to Matthew Wood’s book for some time, it just seems to keep coming up everywhere; I think it’s time I got a copy. One book I really love is “Herbal Teas: Nourishing Blends for Daily Health and Vitality” by Kathleen Brown. There is no other book like it that I know of and the teas are not only well balanced but quite tasty. I use David Hoffman’s books a lot as well. I’ve only just dipped into the “Energetics of Western Herbs” by Peter Holmes last week, which seems something of a gold mine. Thanks again for the list. I’m going to look into a few of these including the Core Balance Diet . . . you’re right, the word “diet” did instantly put me off . . . but it looks fascinating. thank you for the wonderful book descriptions. 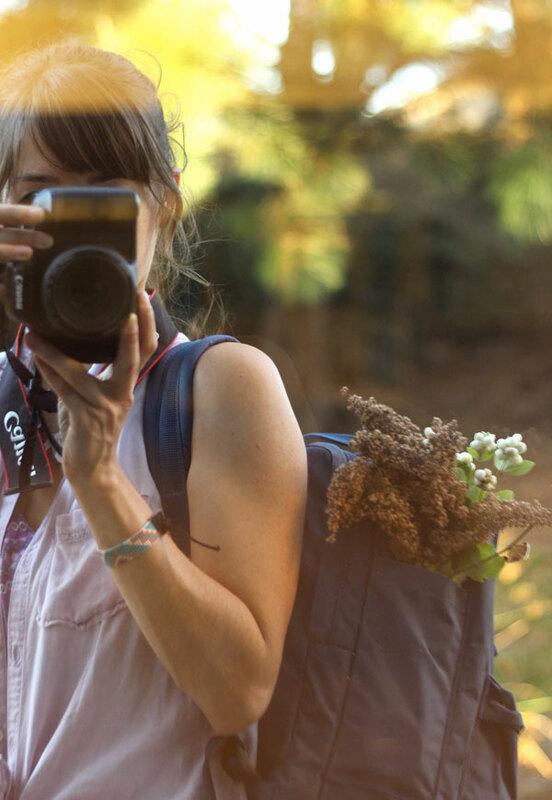 Your pictures are soooooooo beautiful and could be printed in a high quality magazine! “For every herb book I have, there are three more that I desire.” This is so true! It made me laugh. Now I have at least three more that I desire so thanks for your inspirations, it was nice to read about such a variety of different herb books. I am honestly not surprised that you, too were influenced by Northrup’s book. I was young when I read it (19? ); it must be a very impressionable time. It is funny that you mentioned Peter Holmes, because just today that book popped into my head and beckoned me to read it! Now I must. The “Herbal Teas” book sounds like a must-have, too, especially since I have been delving deeper into making medicinal teas that actually taste good for the general population (I don’t mind motherwort/skullcap tea, but I am pretty sure most non-herbal folk would prefer something more balanced flavor-wise). Thank you so much for the recommendations; they are soon to be on my wish lists. I feel the same way – after reading everyone’s list I suddenly have the desire to order more books. It is really nice to hear about book from other herbal-minded folk, rather than computer-generated amazon/b&n suggestions, and what people like about them. Lovely list – I’m extremely fond of the Chen book as well. Have you read Combining Western Herbs and Chinese Medicine by Jeremy Ross or Western Herbs According to Chinese Medicine by Thomas Avery Garran? I personally find both invaluable. Kiva, I have checked Ross’s and Garran’s books out at the library – they are quite incredible. All in all, it helps me integrate Chinese herbs if I have something to compare them too, and it deepens my understanding of Western herbs to see the organ systems/energetics. I only have one Michael Moore book, but I can see how you go through them so fast! Lovely post Celia, I read about your Earth Mother Herbal and wanted to own a copy, but when I checked Amazon it was around £40! Someone else mentioned the cost of books that are no longer in print gets to be on the expensive side, they weren’t wrong! I have Earth Mother Magic by Judika Illes, I love it but wanted a more herby based book. I’ll keep an eye out for a cheaper copy. Google Books have a preview for anyone interested. I found a copy on Amazon.com for less than $4 but they wouldn’t ship to the UK 🙁 Ahh well I’ll keep trying! Boozhoo Celia!!! It’s me Sheila. I took your classes last year around this time up here in Minnesota. I haven’t checked your website for a while now and was curious if it was still up on the web. Great to see that you still have it going and that you’ve started your new schooling. I hope all is going well!!! I just ran into, Healing Wise by Susun Weed, at the co-op and have been reading that. Great stuff!!! It is really helping me to learn about the different types of medicine preparations, and it sure is a great resource after having taken your classes. The directions are great, and I really like how she focuses on only a few herbs. I really need help with learning one herb at a time and going from there. I have learned so many physical characteristics of plants through my schooling and working with a research botanist. Learning the medicinal qualities is a whole new ball park and it seems like there is so much info out there that it really just all blurs together for me. I think my next book might be The Book of Herbal Wisdom by Matthew Wood. I’ll have to check it out online. 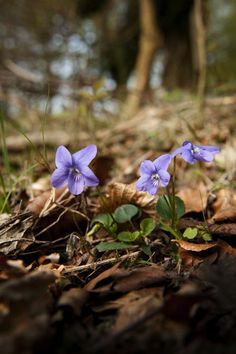 Hope you have a wonderful spring of gathering and medicine making. 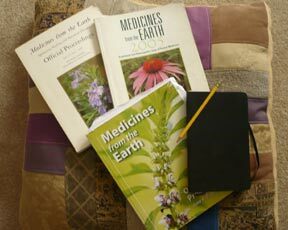 Hi Deb, I bet with some searching you will find a copy of the Earth Mother Herbal. I want to write to the author and publisher and suggest a new edition/printing. I got mine used from a library sale, lucky me… Green Blessings to you! Wow, thanks for sharing your favourite books. I started to look some of them up and found that “Women, Hormones and the Menstrual Cycle” is unavailable to purchase. However, if anyone reading this is in Quebec and is a member of the Bibliothèque et Archives nationales du Québec (BANQ), they can read an electronic version online. Imagine my surprise when I found that! I’m on Chapter 8 now — very good information to have, overall. What a great find; an electronic copy online of this fabulous book! I will be sure to pass on the info with my Quebecois friends. I am shocked that it is out of print. Why?! It should be reprinted, in my opinion.